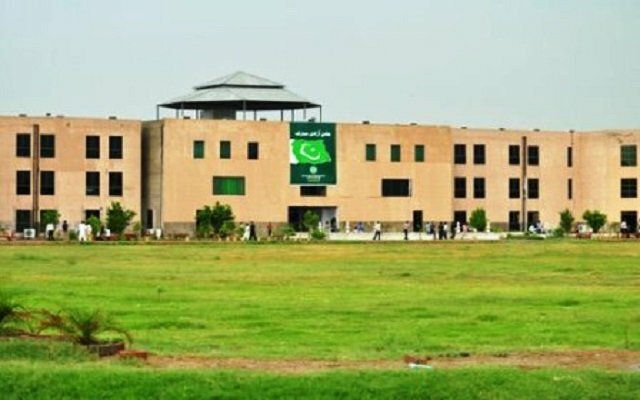 The Competition Commission of Pakistan (CCP) has passed an order imposing a penalty of Rs 5 million on the University of Management and Technology (UMT) for making false claims regarding its ranking and accreditation in violation of Section 10 of the Competition Act, 2010. On receipt of information, CCP conducted an inquiry to ascertain whether the university has violated the Competition Law. The inquiry concluded that UMT has made multiple deceptive claims in its prospectus and other promotional material regarding its ranking and accreditation just to make profits by luring new students into taking admission in the university. These misleading and deceptive claims jeopardized the future of thousands of students and caused financial losses to their parents who make important decisions about their children’s education. The misleading claims could also harm the business interests of other undertakings. On the inquiry’s recommendations, a Show Cause Notice was issued to the university. During the hearings, the UMT could not substantiate these claims, tendered an unconditional apology, and made a commitment to discontinue the practice of making deceptive claims. CCP’s Prosecutor who assisted the bench referred to a similar example from the United States of America where a federal judge finalized the $25 million settlement between President Trump and students of his now-shuttered Trump University for making false claims regarding its status. In view of the UMT’s commitment to compliance and unconditional apology, the bench imposed a penalty of Rs 5 million and directed it to refrain from indulging in any form of deceptive marketing practices in the future. Moreover, Personal Data of Punjab University Lahore Female Students Sold on Deep Web. Click here to know more about it.